A lot of places can be the wrong place at the wrong time. The White House: I don't know whether it's the finest public housing in America or the crown jewel of the prison system. When I took office, only high energy physicists had ever heard of what is called the Worldwide Web....now even my cat has its own page. If you look back on the '60s and think there was more good than harm, you're probably a Democrat. If you think there was more harm than good, you're probably a Republican. It takes a long time to turn a big country around. Today we can declare: Government is not the problem, and government is not the solution. We, the American people, we are the solution. Our destiny is bound up with the destiny of every other American. 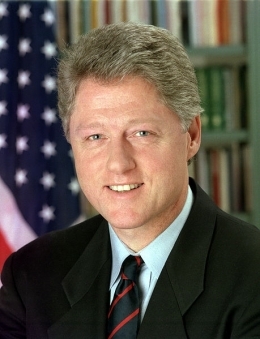 16 quotes by Bill Clinton.